The facilities at Hopewell Lodge are designed to provides guests with everything they need to enjoy a relaxing, self-catered getaway. The lodge is composed of a collection of cheerful timber lodges set in extensive gardens on the banks of the Kenepuru Sound. Most guest rooms and cottages have balconies with sea views and all guest rooms have screened windows and ceiling fans to waft the fresh breezes from the Sound. Hopewell is primarily a self-catering lodge. 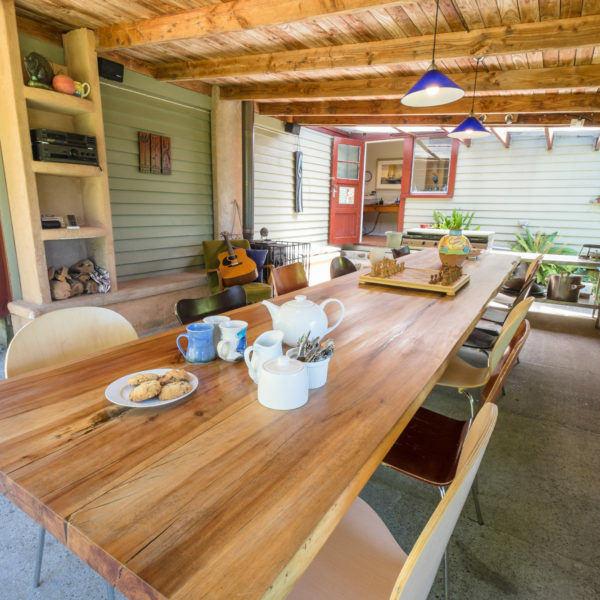 All guests have access to our spacious, fully-equipped kitchen and dining area. Guests are also regularly invited to participate in mussel nights prepared enthusiastically by your hosts, Mike and Lynley. You can learn more about the host of amenities on offer at Hopewell below. 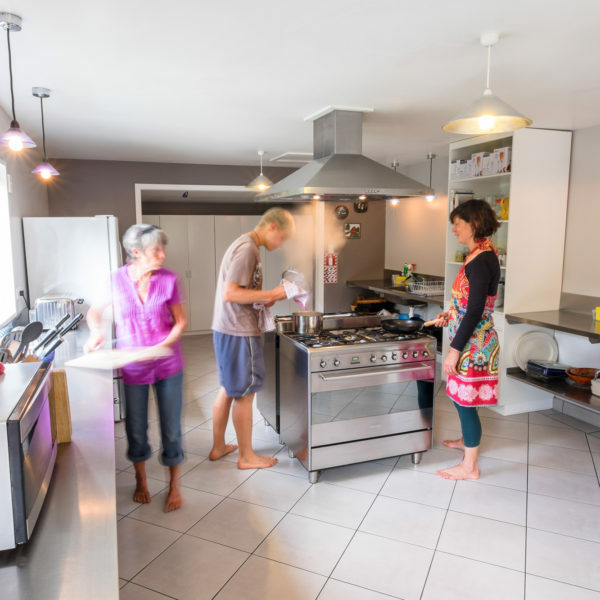 The new, extremely well-equipped kitchen makes for easy dining and relaxation. Large smeg ovens, plenty of fridge/freezer and storage space for your food, microwave, toasted sandwich maker, toasters, kettles, pots, pans, crockery, cutlery and sharp knives! A large gas BBQ and undercover area is also available free of charge for our guests. You only need to bring food. Hopewell is primarily a self-catering lodge. 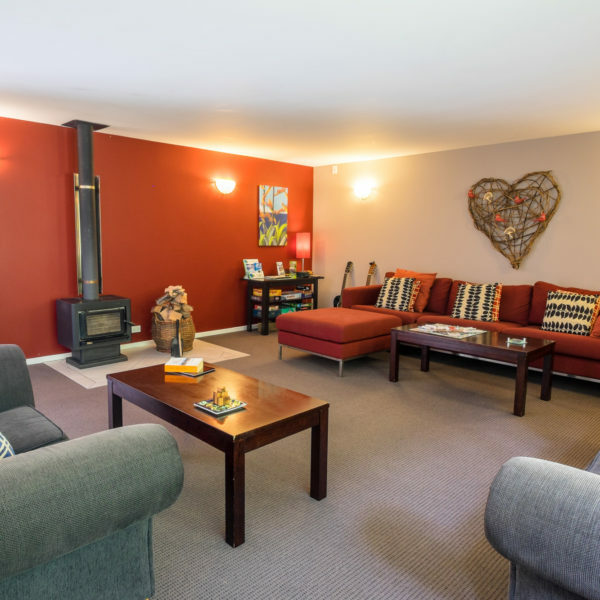 Mike and Lynley offer their guests espresso coffee, home baking, homemade bread, gourmet pizzas as well as regular mussel cook-ups. Hopewell can order groceries in advance and have them delivered here for you, otherwise bring the food you need as there are no shops here in the Sounds. 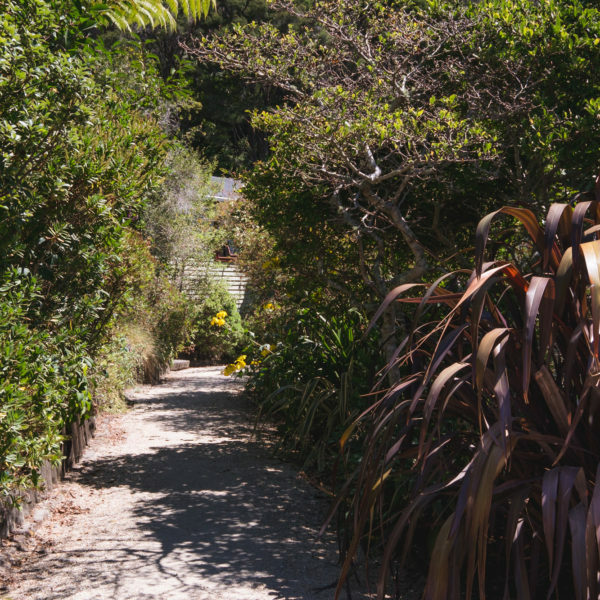 The nearest supermarkets are in Blenheim, Picton, Havelock and Nelson. Catering by arrangement is possible for special occasions. There’s no better way to get to know your fellow travellers than sharing a meal together. The lodge offers several dining areas where guests can enjoy a relaxing meal, BBQ, pizza, or glass of wine and good conversation. Curl up next to the wood burning stove with a good book or pull out the cards and get a round of poker going. Our spacious lounge area is the perfect place to kick back and relax. You’ll will find a stereo, guitars, plenty of books, magazines, and games to keep you entertained. We also have a great collection of DVDs available free of charge for our guests, but you’ll need a laptop as we have no televisions here at Hopewell. 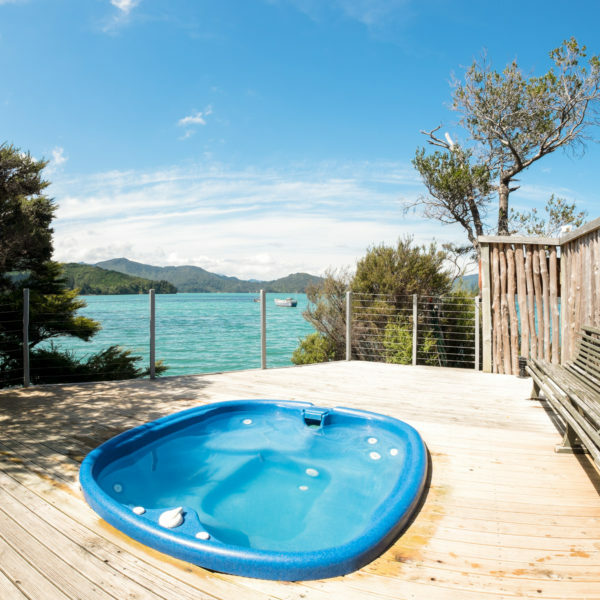 Relax, unwind and enjoy breathtaking views of Kenepuru sound while soaking in our hot spa pool. Open 24/7 year round and kept at a steady temperature of 40° Celsius. Once you get in, you may never want to get out! 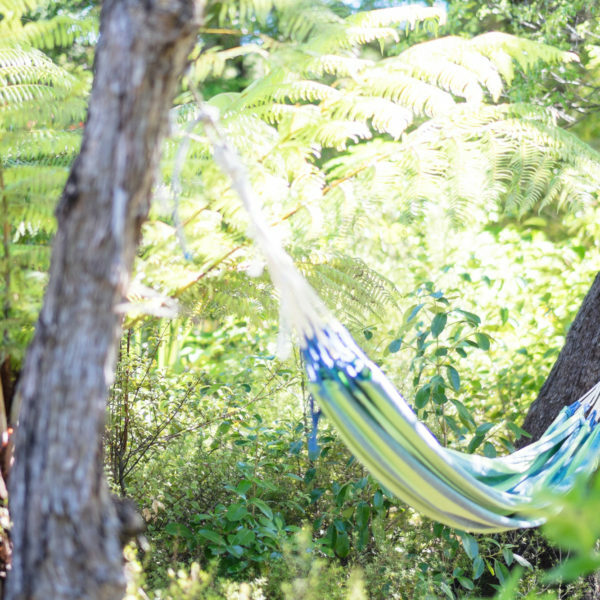 We have a number of hammocks for reading and relaxing in the shade under the native trees with spectacular views of the Sounds. We have a washing machine (including the washing powder) and dryer available for our guests at a small charge. We also have large clothes lines outside with pegs for drying.